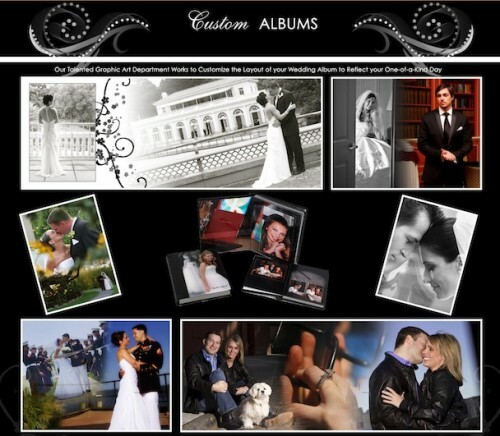 Get Creative With Your Wedding Photos – Design A Custom Album. Our talented graphic-art department works to customize the layout of your wedding album to reflect your one-of-a-kind day. Our professional images are woven into creative collages, including background images in order to make your album both artistic and eye catching. There is a wide variety of covers, style’s, and finishes to choose from no matter what size or image count.